The survey revealed that 48.1 % male always drink alcohol in public place and 42.6% female respondents indulged in it occasionally. 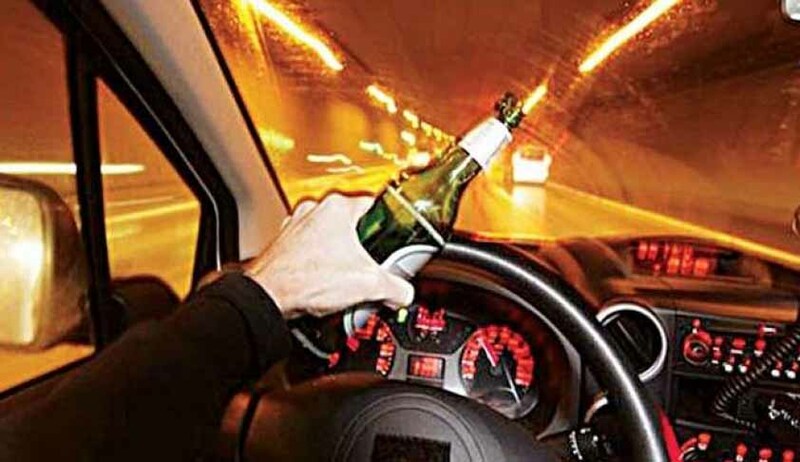 42.1% men and 33% women admitted to drinking in cars and not being caught. More than 85% of Delhites continued to drink in public place even after crack down by Delhi Government against public drinking, reveals a survey Community Against Drunken Driving, a prominent NGO working to end the menace of drunken driving for the past 14 years. A Public survey was conducted between 10th November – 10th December 2016 to assess the impact of the new ruling by the Delhi Government on drinking in public spaces wherein heavy fine ranging from Rs.5,000/- to Rs.10,000/- to be levied along with jail term on the offenders. According to Prince Singhal, Activist , Road safety expert and Founder CADD “ Research was conducted in about 50 prominent public places of Delhi among 5000 respondents, out of which 4000 were men and 1000 were women. CADD’s survey last year had revealed that drunk driving has been responsible for at least 70 per cent of all fatal road accidents in the city. Delhi reports between 1,500 and 1,700 road fatalities and 6,000 to 75,500 grievous injuries in road accidents every year. Declaring a war on “car-o-bar”, Kejriwal government had from November 7 begun levying hefty fines and sending to jail those found drinking in public as the government went ahead to "strictly" enforce the Delhi excise act. 42.1% men and 33% women admitted to drinking in carsand not being caught. Only (0.04 %) 2 male respondents out of the 5000 were caught for having alcohol in publicand they were let off after paying fine. Car o bar is the most popular venue of consuming alcoholas people find it safe and away from public glare. Also there are lesser chances to be caught . Car o bar was used at parking lots, street side vendors, juice shops, mall parkings etc. If the government wants to curb public drinking thanthey should first curb alcohol saleby selling on lesser days, reducing bar timings or prohibiting sale to underage. While public drinking may cause nuisance but a bigger nuisance is also caused by those drinking in bars and pubs leading to brawls , gun fights, crime against women so the government should come down heavily on bars and pubs. The Survey was conducted by CADD in 50 public spaces of Delhi and included a sample size of 5000 respondents public spaces including juice shops, parking lots, road side food stalls, dhabas, outside eating joints, taxi stands, petrol pumps , local market place, business centres . Some major areas include north and south campus, ISBT, Nizamuddin railway station, Green Park market, Vasant Kunj Market, Shahpur Jat market, Mayur Vihar Market, lado sarai, nehru place, Bhikaji cama Place, Netaji Subhash Chandra place, Ashok Vihar, Rohini, Connaught Place, Hauz Khas Village, Rajouri Garden, Khan Market, Defence Colony, Priya Cinema Complex, PVR Anupam cinema complex, Satyam Cinema Complex, Janak Puri District Centre, sanjay Gandhi Transport Nagar , R. K. Puram, Punjabi Bagh main market and many others. Cars / vehicles were used as a drinking space in places like taxi stands/ parking lots, transport areas etc.